While the sanction war America started against Russia in 2013 appears to have opened the door to de-dollarization, Washington’s latest gambit towards Iran seems to have fully opened the floodgates. And that is because the latest country to willingly accept trade outside the dollar just happens to be a long-standing ally of the U.S..
European diplomats are warning that enhanced U.S. financial sanctions against Iran run the risk of forcing the rest of the world to create alternative banking systems that could undermine the long-time dominance of the U.S. dollar. Russian President Vladimir Putin has stoked fears that the U.S. dollar would be weakened if it went too hard against Iran. Furthermore, we are seeing more and more international shifts away from the USA dollar, though not all will be successful. But eventually, the USA dollar will lose its dominance. Europe wants its own military and its own empire (see Donald Trump lashes out against Europe defending itself–Europeans pushing for an empire). The probability of China, Japan and the Europeans dropping major use of the USA dollar is NOT zero. This entry was posted on Tuesday, November 13th, 2018 at 4:00 pm	and is filed under Prophecy. 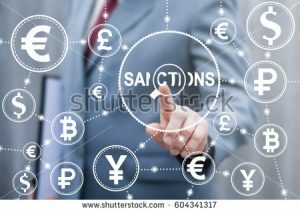 US threatening more sanctions against Turkey: Could this lead to the rise of the Beast and the end of the USA dollar?